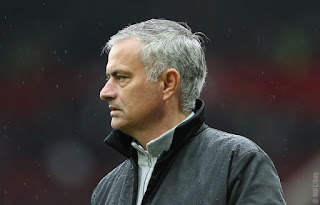 The 54-year-old signed a three-year deal with the option of a fourth when he took over at Old Trafford in May last yearThere has been speculation that United are ready to offer Mourinho a bumper new deal but he cast doubt on his long-term future when he told Telefoot they will not be his last club. However, the former Chelsea and Real Madrid boss is adamant that rumours he will sign a lengthy new contract or take over at PSG are baseless. "I think you English media have the answer for that," he told a news conference ahead of United's Champions League clash with Benfica. "In one day, it says I am going to sign a five-year contract, £1 billion per season. The next day you say I am leaving and I'm going to Paris Saint-Germain. The answer is exactly that. "Nothing is happening, I am not signing a new five-year contract and I am not leaving for Paris Saint-Germain. I am not leaving Manchester United. I have a contract and that's it." Mourinho believes it is "impossible" for any manager to stay at the same club for more than a few years given the pressure in the modern game. "The future is tomorrow. I have my contract, which ends in June 2019. We are in October 2017 so I don't know what to say," he continued. "The only thing I said, and it's a true interpretation of my words, that I am not going to end my career at United. How is it possible in modern football that any manager is going to last 15 or 20 years in the same club? I think [Arsene] Wenger is the last one. "I think it's impossible for us, with everything that surrounds the job, with all the pressure that surrounds every job. I think it's impossible to last for so long. "If, in this moment, I want to finish in two, three, four or five years, I would say yes, my ambition would be to end my career at Manchester United. "I think I'm going to be here in football for 15 years, minimum, and I think it is impossible to stay 17 years at the same club, even if you want, even if you try. "Some people try to be clever, try to be malicious, and they say many different things. But the reality is simple: I didn't sign a new contract but I'm not thinking about leaving."